In their excitement of building a deck, some homeowners do not do their due diligence by learning about the local building codes that apply to this type of construction. In fact, many localities now require a building permit before any ground is broken on a construction project. A professional construction company such as Mike Sikora’s Dayton Home Improvement knows what the local building codes are as they pertain to certain areas. In addition, the permitting part of the building process is taken care of by the construction company. 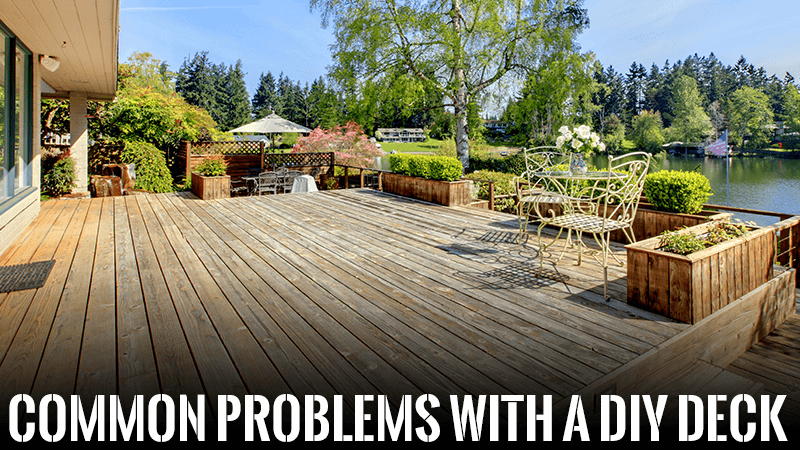 Every homeowner knows where the ideal location of their deck would be, but is it the best place to build one? Is there a clearance issue when it comes to head space, foliage or other areas of the home that must be considered? At Dayton Home Improvement a free in-home consultation is offered in which a company representative and the homeowner go over any desires and issues that might arise due to its location and design. It is one thing to think of a deck design. It is quite another to be able to fashion a materials list. This is especially true if the homeowner is inexperienced in building and estimating materials. Many people understandably want their deck to be attached to their home for a look of continuity. This also provides a great deal of security when it comes to inclement weather. Attaching a deck to a home in a safe manner, however, takes a set of specialized tools as well as a great deal of knowledge. Most homeowners find themselves without either of these, making it nearly impossible to do the job right. Some homeowners simply want a straight-forward deck with few bells and whistles. For this type of job, it often does not matter if the fasteners are hidden or not. For a top-of-the line deck, however, having the fasteners hidden often adds to the streamlined and professional look that the homeowner was trying to accomplish. Mike Sikora’s Dayton Home Improvement has been building high-quality decks for the Dayton, Ohio area for a number of years. Give us a call today to setup a free in-home consultation and leave the building to us.